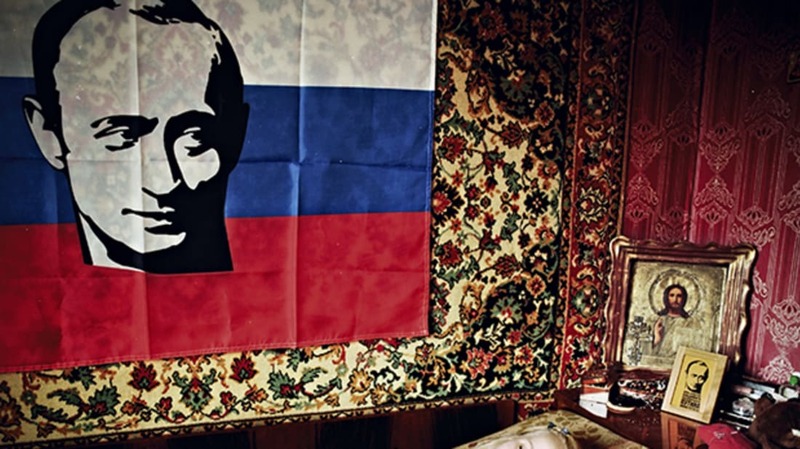 Back in 2007, Hungarian photographer Bela Doka stumbled into a fascinating Russian subculture: teenagers so obsessed with Vladimir Putin that they formed a fan club. As someone looking at Russia from the outside in, I’ve always been curious how stories about Putin play within the country: he saves people from tigers, tracks polar bears, hunts shirtless, discovers ancient Greek vases while diving and relieves billionaire team owners of their brand new Super Bowl rings. But when you read quotes from the Fan Club, it isn’t those superhuman storylines that fuel their passion: in between the hopes that they’ll marry a man like Putin or grow to be as strong a leader as he is, they talk about how Russia was treated like the world’s door mat before he entered the scene, how people now respect the country’s development, and how their lives feel so much more stable since his ascendency. It’s also interesting to hear how they clash with their parents—who don’t believe the kids understand politics. I’m fascinated by Doka’s beautiful photos partially because it sheds light on a youth subculture I never knew existed. I’m also hoping Doka will re-up on the project to track down his subjects and see both if and how their opinions (and wardrobes!) have changed in the 8 years since. To see Bela Doka’s most recent project, be sure to click here. And to purchase a limited edition of his book FC Putin (there are only 25 copies! ), click here.